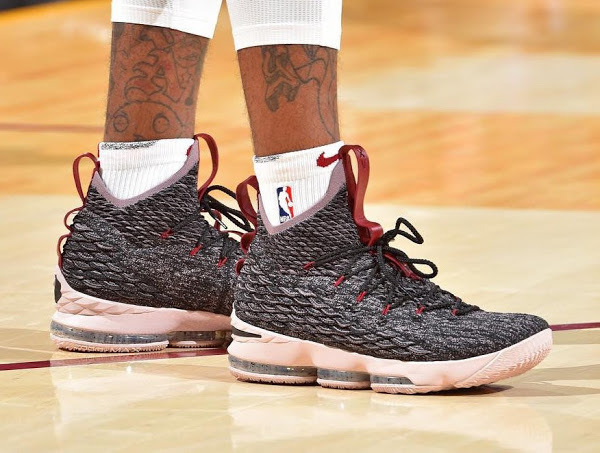 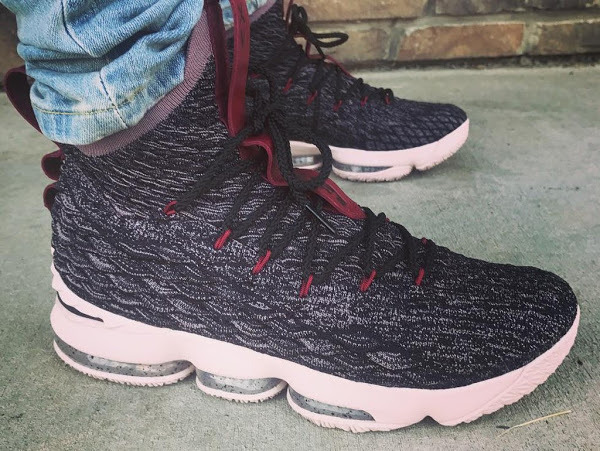 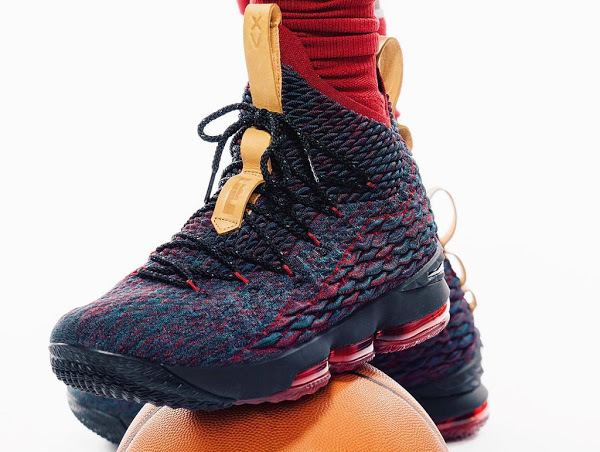 LeBron James continues his pre-launch promo campaign for the Nike LeBron 15 with an on-foot photo of yet another colorway. 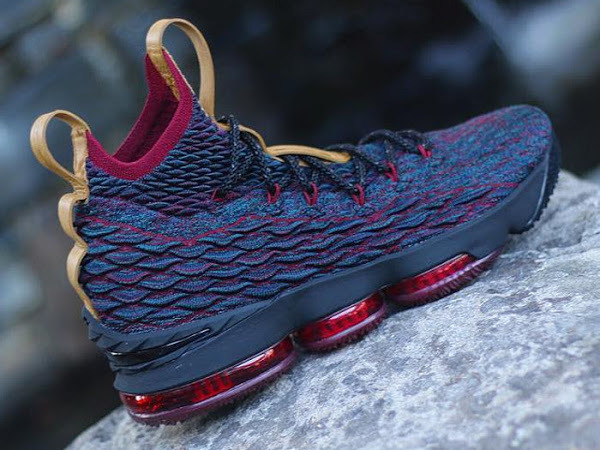 This time it’s more of a Cleveland Cavaliers inspired look with a Wine upper, Navy midsole and translucent outsole below. 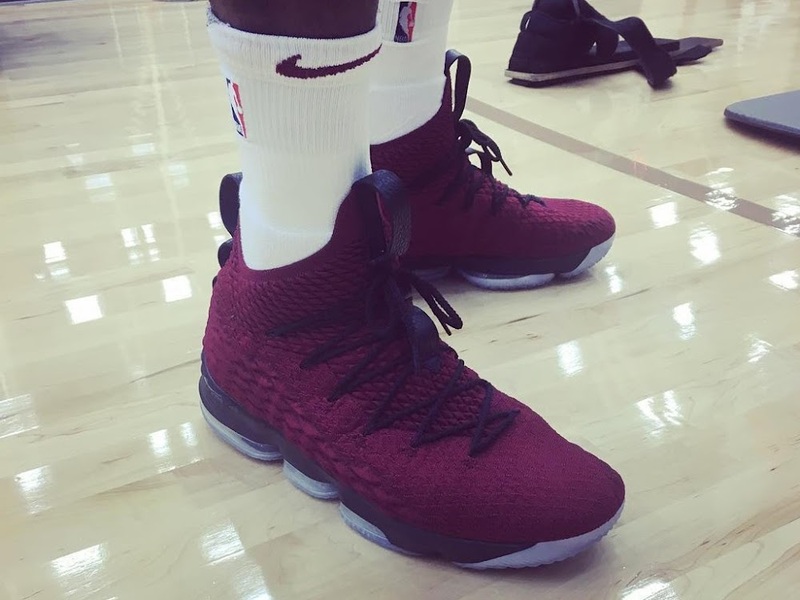 Apparently, James’ new teammate, Isiah Thomas, liked these so much he wanted to gram them in the locker. 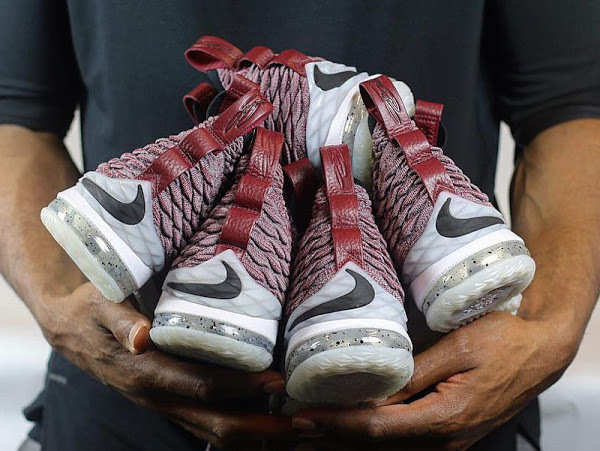 We’ll have to wait and see if Nike decides to make it one of the upcoming styles.